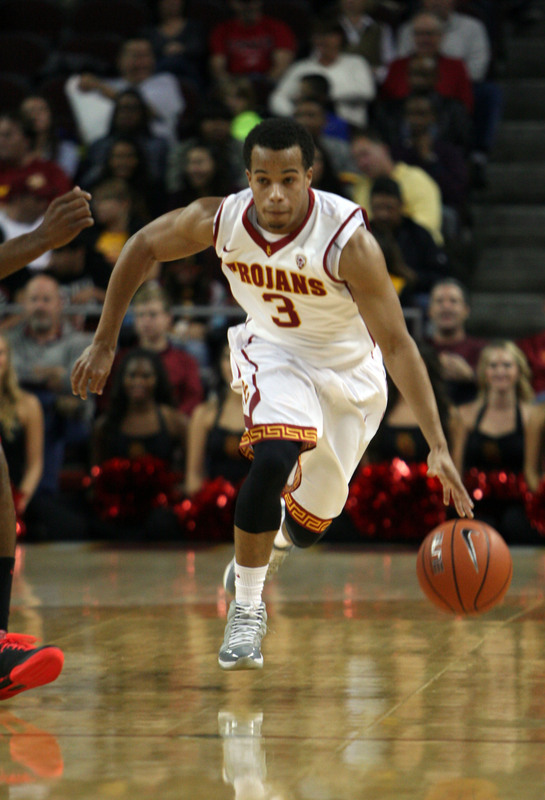 Chass Bryan will transfer out of the USC basketball program, he confirmed to Galen Central. The energetic point guard will redshirt the upcoming season at USC, and then be eligible to play for a new school as a graduate transfer during the 2016-2017 season. His departure from USC did not go as he had planned. According to Bryan, he met with coach Andy Enfield in March as part of the team’s exit meetings, sensing that the writing was on the wall. Bryan did not appear in 14 of USC’s 32 games as a junior, after averaging more than 14 minutes per game during the first seven games of the Enfield era as a sophomore. They both agreed that it would be in Bryan’s best interest to play his senior season at a different school, since the Trojans had a stockpile of younger guards who fit better in Enfield’s system. Despite his intention to transfer, Bryan planned on spending the upcoming season on the USC bench, mentoring the other players while finishing up his classes. But according to Bryan, Enfield told him that while he would be welcome in the facilities, he would not be allowed to sit on the bench during games. Enfield, through a team spokesman, declined comment, citing the team’s policy of never commenting on transfers. Last season Brendyn Taylor was allowed to sit on the bench during his “lame duck” redshirt season before he transferred to Santa Clara. Taylor was a scholarship athlete, while Bryan was a walk-on. While Bryan is no longer an official member of the program, he still communicates daily with his former teammates. He expects that Julian Jacobs, Jordan McLaughlin and Katin Reinhardt will emerge as leaders this season. Reinhardt will miss Bryan’s leadership. Bryan, a recipient of the USC Presidential Merit Scholarship, will spend the upcoming school year focusing on academics. He will graduate in the fall or spring with a degree in business administration and a minor in sports media studies. He cites David Carter and Ivan Nikhoo as two of his favorite professors from the Marshall School of Business, and he is excited to take classes with J.A. Adande and Jeff Fellenzer of the Annenberg School for Communication and Journalism during the upcoming semester. On the court, the 5-foot-11 guard plans to work on improving his weaknesses. Bryan is in the early stages of the transfer process. He has had initial discussions with Santa Clara and U.C. Davis, and he still plans on meeting with other schools. He is looking for a school where he can have an opportunity to play and take classes that will further his aspirations of working in management or marketing of athletics or entertainment. Regardless of where he goes next, Bryan knows it will be hard to top his four years at USC. Walk-on guard Devon Pflueger will also transfer out of USC. Pflueger scored nine points in two seasons as a Trojan.